SEMA is actually the show of the imagination, no matter how you slice. This is the show where upfitter and add on parts are put to vehicles in order to show off what you could do with your vehicle to make it even better than it is with its typical form. Most of the time these companies have partnered with the automakers to show them what can happen with their own vehicles to make them even more impressive than before. With a ton of thought and imagination, the two FCA vans that were shown off, the Ram ProMaster City and the Chrysler Pacifica, were both turned into vans of pure leisure. Once again, get your mind where it belongs, The leisure offered was of the type where you could get a few drinks with your buddies or of a van that could be the perfect ride to the beach for a day in the sun. These two made quite an impression and both are featured in the videos linked below for your enjoyment so that you can see exactly what these two turned into. 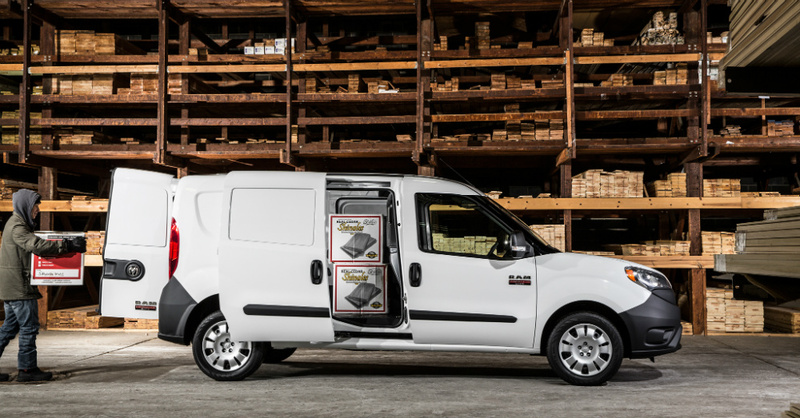 The Ram ProMaster City being a bit larger and boxier is the one made into the mobile drink machine with a pull out display area and plenty of space to work and store the bar stools that make the experience perfect. This van was tricked out by Mopar and made into this bar where you might choose to grab a drink after work or during a fun time in the sun and surf. The perfect complement to the ProMaster City is the Mopar decked out Pacifica which was built and designed to be the perfect beach vehicle. Even the interior of the vehicle was thoughtfully redone to make it easy to clean up after a day in the sand and surf where the waves are huge and lots of fun. Both of these vans showed off the imagination and apparent desires of the Mopar team. It appears to me this team was already looking forward to the fun in the sun that will happen months after the SEMA show took place. Check out this video, as well as this one, and see just how cool these two vans became as they took the look to a new level at SEMA.